For the record, Bret Bielema still would have left Wisconsin for Arkansas. Still, had Jeff Long not been waiting on the tarmac with contract in hand, he might not have done it. The leaving was too hard. While the implication he left for more money bothers him – “I’m making $150,000 more a year here than I was there,” he says – what really eats at Bielema is that he hasn’t spoken with his former boss Barry Alvarez for nearly three years now. 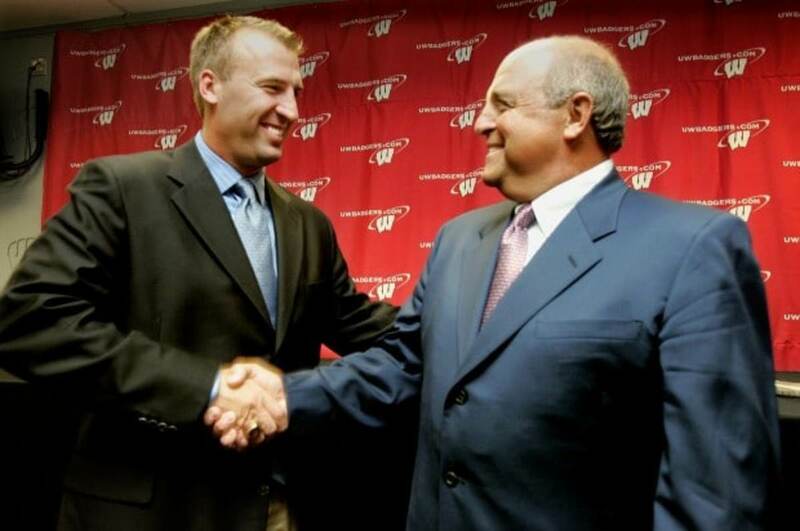 Bielema spent the 2004 and 2005 seasons as Wisconsin’s defensive coordinator before Alvarez chose him as his successor before the 2006 season. Bielema guided Wisconsin to a 12-1 mark in his debut campaign and won three consecutive Big Ten titles before bolting for Fayetteville. The two talked continuously during those nine seasons. And now? Nothing. The two have exchanged texts – Bielema says he texted Alvarez after the Badgers’ Outback Bowl win over Auburn and after Bo Ryan’s basketball team reached the Final Four, but that’s the extent of their communcation.